← Is there a relationship between weight and success in PhD programs? The empirical evidence seems to contradict Betteridge’s law. 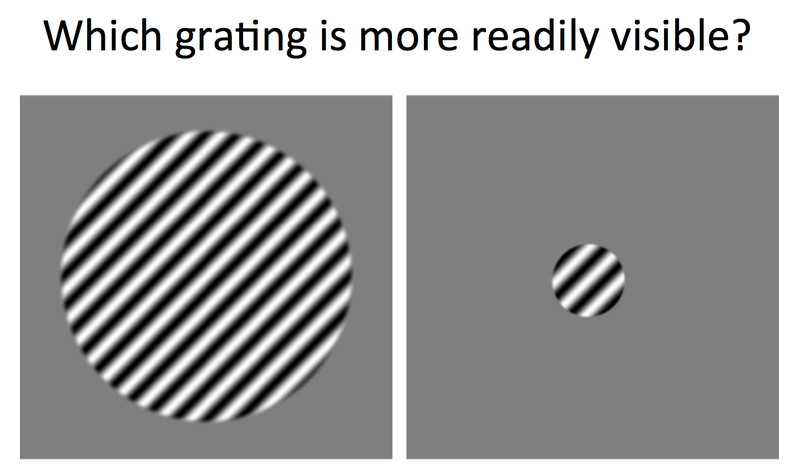 For the past 10 years, research on the “spatial suppression effect” showed that large moving stimuli are more readily perceived than smaller ones. Most people suggest that the larger one should be easier to see. But data suggests that the opposite is the case empirically. Large stimuli need to be presented for a longer time to be perceived as accurately as small ones. However, this relationship doesn’t seem to hold in certain populations, such as those with a history of depression or lower IQ. These results have been explained with a lack of inhibitory tone. It has been suggested that there is also less GABAergic tone in autism. So the prediction from this research would be that there is also less spatial suppression in autism. Yet, this is not the case empirically. 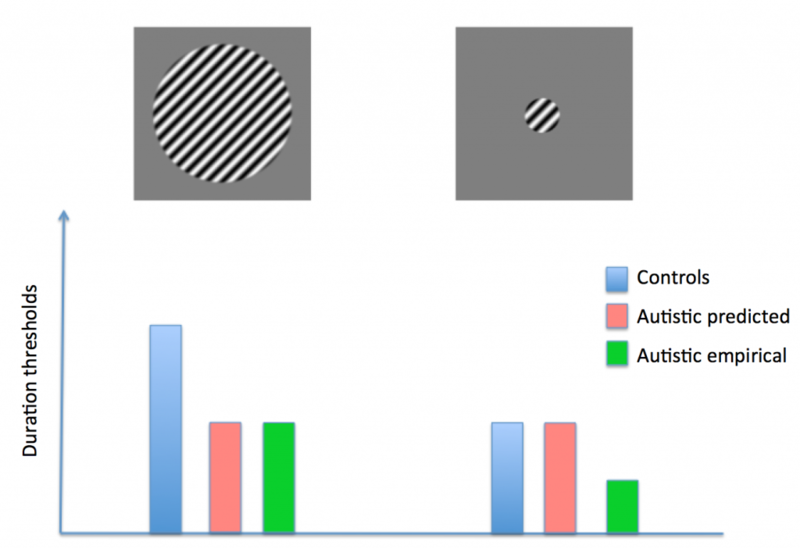 Larger stimuli *were* more readily perceived by autistic observers, but so where small ones. It is uncanny how good their motion perception was. Just a few frames of motion was sufficient for ready identification of motion direction – blink and you’ll miss it. Its only drawback is the title. These are not kingdoms. They are positions or perspectives. And it is crucial to transcend a singular one. The issue is just more complex than that.